Tucked with the blanket of Himalayan essence, Dharamshala is the place where you get the hint of panoramic scenery way ahead of the Himachal. The thick forest surrounding it and the Dhauladhar range peeping in the back, Dharamshala is the ideal place for the first leap in your travel milestone. But you cannot visit a place with a complete blindfold on, can you? Thus, you must know which places are worth a peep let alone the history of the place. When you are on the verge of visiting Dharamshala, you should not return to your homeland without visiting these mandatory places. Check it out. 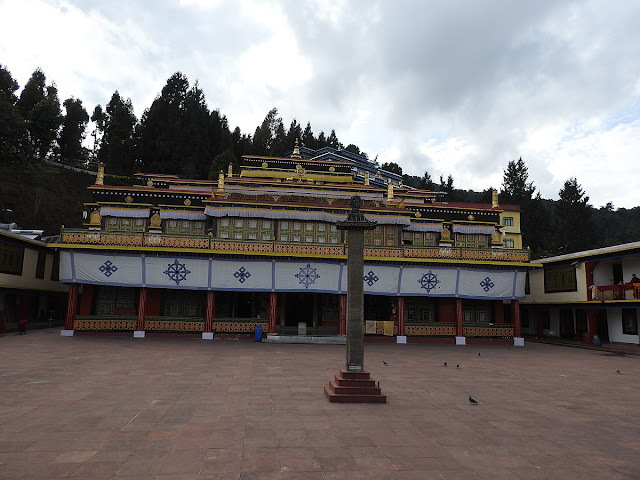 Monasteries are an integral part of the mountains, and Namgyal Monastery is one of the most famous monasteries of Dharamshala. 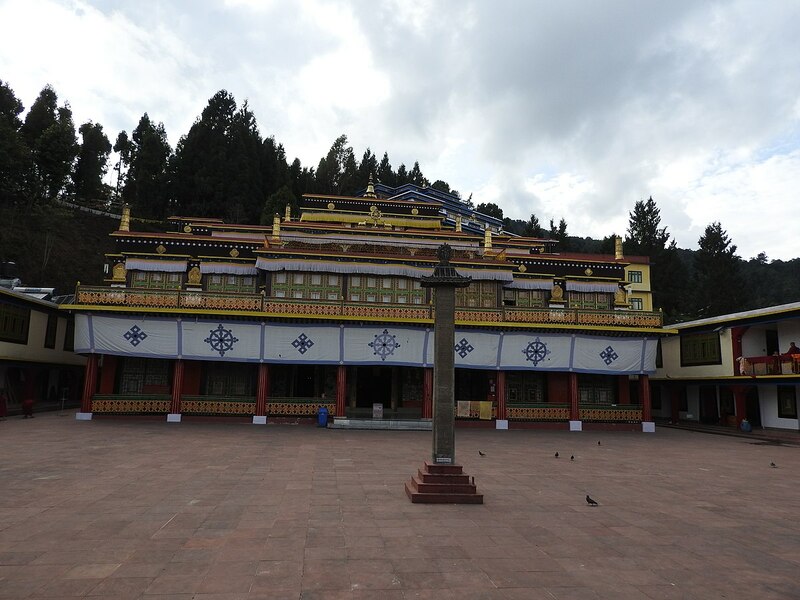 It is considered as the largest Tibetan temple outside of Tibet with accommodation of almost 200 monks. The vibrant colour schemes, gorgeous Tibetan architecture and the prayer wheels are reason enough to visit this temple in Dharamshala. Also, it has an adjacent cafe which is open till 10 pm while the monastery is open for the public from 6 am to 7 pm. It does not matter whether you are interested in boating or not; the Kareri Dal Lake is another must visit of Dharamshala. Surrounded by the Blue Mountains and green pine forest, this lake is an eye candy place for the tourists. Also, a Kali-Shiva temple is located on the banks of this lake, and if you are lucky enough, you can witness the grand fair that is held here as well. Also, it is a frequent attraction spot for all the trekkers and campers. Marked as the most famous tourist spot of Dharamshala, Bhagsunag Waterfalls is commonly known as the Bhagsu Falls. The milky white water, combined with the green scenery, this falls gives a vibe of the paradise. Also, it is a scenic cascade that looks the best during the monsoon season. You can take a dip in the chilled water and have your mind refreshed. Also, you can visit the Bhagsunag Temple nearby of this falls as well. Undoubtedly, Dharamshala is one of the mountain places in India where you can get the taste of everything. The 4th-century structure is still standing proudly in Dharamshala, and the architectural excellence of this fort is something you do not witness everywhere. It is the largest fort of the Himalayan range. And you cannot surely miss the jaw-dropping view of the Manjhi and Banganga Rivers from the top of this fort walls. You can also visit the Kangra Museum to get a historical perspective of the Kangra-Katoch Dynasty. Dated back to the 8th century, the rock-cut temple of Dharamshala is another wonder spot for the tourists. These monolithic Indo-Aryan temples depict various mythological tales of India, and it is also a place for the art enthusiasts as well. The carvings of this temple speak of the great deeds of Lord Ram, Lakshman and Sita. Located far away from the chatter of the town, this village carries the essence of the ancient tribes of Dharamshala. The panoramic view of this village is mesmerising, and you cannot miss out the amazing sunset from this point as well. Also, you can stay overnight to experience the village lifestyle in the most extrinsic way possible. Last but not the least; you should not miss out the panoramic view of the Dharamshala Cricket Stadium. 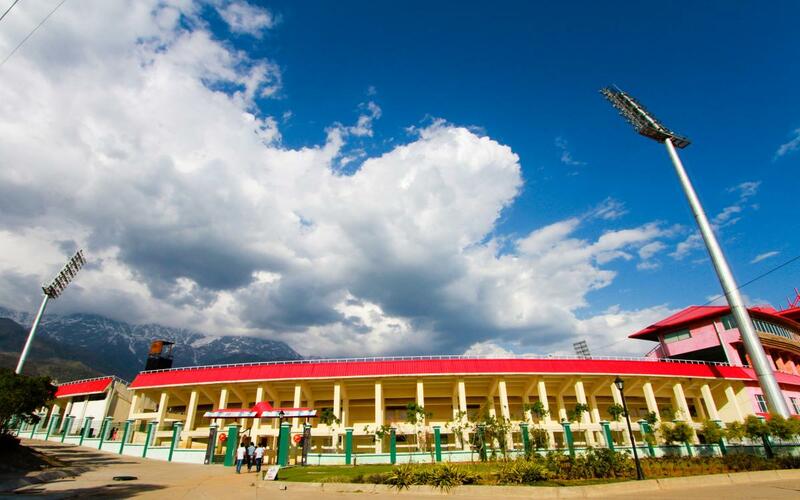 Situated in an altitude of 1,457m, this mountain cricket stadium is a wonder on its own. 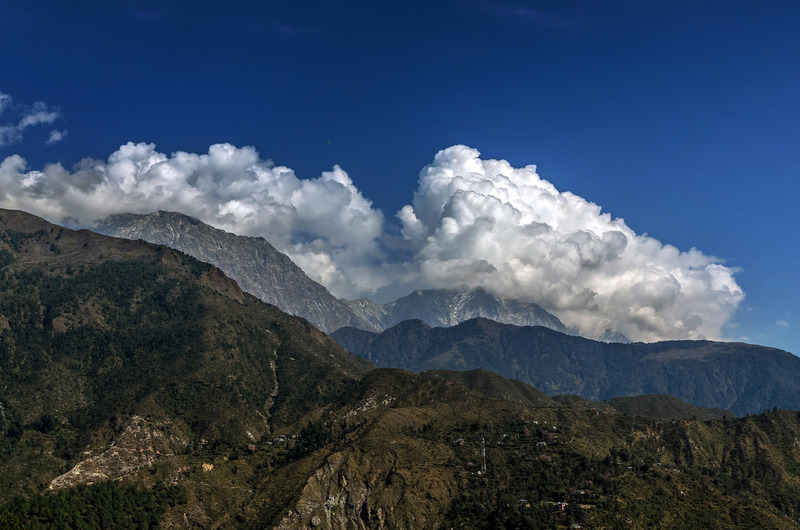 Also, it has been ranked as one of the most famous places to visit in Dharamshala as well. It remains open from 9 am to 6 pm every day. The cultural fusion and architectural variety of Dharamshala are so unique that it often leaves your startled. The subtle hint of the mountain with a town life is unique, yet so regular. And you have to visit these 7 places to get the vibe of Dharamshala just right. Happy Travelling!